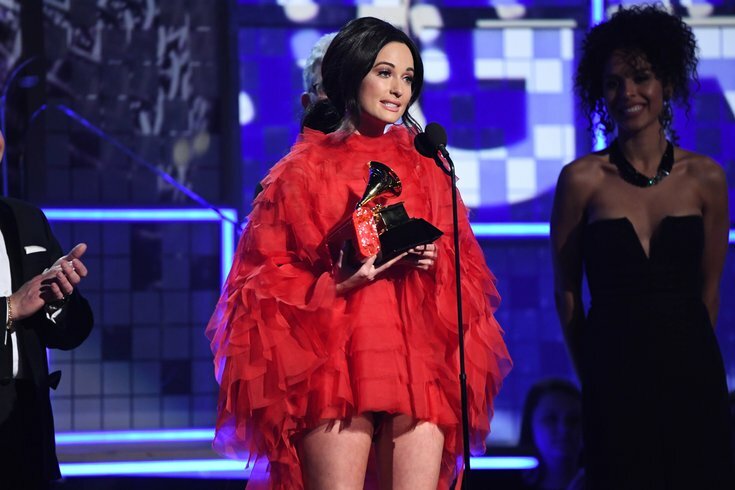 Women were a big focus of Sunday's 61st Annual Grammy Awards, with host Alicia Keys and the biggest winner of the night, country music artist, Kacey Musgraves. The show opened with special guest, former First Lady, Michelle Obama, who stood alongside Lady Gaga, Jennifer Lopez, Jada Picket Smith, and Keys to talk about sisterhood and music. "Music helps us share ourselves - our dignity and sorrows, our hopes and joys," Obama said. "It allows us to hear one another, to invite each other in. Music shows us that all of it matters, every story within every voice, every note within every song." The show paid tribute to the Queen of Soul, Aretha Franklin, with performances by Yolanda Adams, Fantasia, and Andra Day. Jennifer Lopez and Smokey Robinson paid tribute to Motown while Dolly Parton took part in her 10-minute tribute with co-singers Kacey Musgraves, Katy Perry, Miley Cyrus, Little Big Town, among others. Musgraves also performed "Rainbow" off of her album of the year, "Golden Hour." Diana Ross performed "The Best Years of My Life" and "Reach Out and Touch" In honor of her upcoming 75th birthday. Childish Gambino won record of the year and song of the year for “This is America,” which is the first time a rap song has won in either category. The artist wasn’t in attendance and reportedly turned down the opportunity to perform at the award show. Others missing from the show included Ariana Grande and Kendrick Lamar. Drake took home best rap song for “God’s Plan,” and Cardi B made history when she claimed best rap album, being the first female solo artist to ever win the award. Kacey Musgraves, however, stole the show winning best country album, country song, country solo performance and album of the year for her critically acclaimed album, "Golden Hour." See below for the the full list of winners.